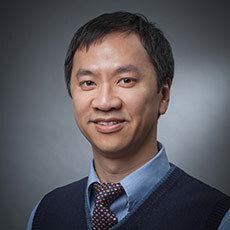 Christian H. Nguyen, MD is a board certified Diagnostic Radiologist with fellowship training in Cross-Sectional Imaging (CT, MRI, and ultrasound). He earned his undergraduate degree in Chemical Engineering from the University of Minnesota where he was a Presidential Scholar. He stayed at the University of Minnesota and completed two years of a General Surgery residency followed by a Diagnostic Radiology residency. He went on to obtain fellowship training at the Mayo Clinic in Rochester, MN with heavy concentration on ultrasound-guided interventional procedures and advanced CT and MRI body imaging techniques. After finishing his training, Dr. Nguyen worked as a staff radiologist at multiple hospital and outpatient imaging center locations for three years in Seattle, WA before coming to L&M Radiology in 2007.